Liquid water is currently unstable on the surface of Mars, because the atmosphere of the planet is too thin, and the temperatures are too low. But once on the Red Planet there were warm and humid conditions in which life could develop. An important task facing planetology is the dating of the period when radical changes in climatic conditions took place on Mars, making the planet as dry and lifeless as it is at the present time. In a new study, cosmochemist Bill Cassata of the Livermore National Laboratory E. Lawrence, USA, shows that it is possible to impose a restriction on the duration of the “water period” of the history of Mars by examining the gases contained in Martian meteorites. Cassata analyzed the content of one of the gases of the Martian atmosphere, xenon (Xe), two Martian meteorites, ALH 84001 and NWA 7034. The results of the analysis indicate that in early Martian history there was enough hydrogen in the atmosphere of the planet to enable separation of xenon isotopes by (more light isotopes are removed to space) as a result of a process known as the hydrodynamic mechanism of atmospheric loss. However, the measurements carried out by Cassata show that this process culminated in the first few hundred million years after the formation of the planet (more than 4 billion years ago), and since then the isotopic composition of the xenon of the Martian atmosphere has hardly changed. On Earth, the separation of xenon isotopes by mass is a gradual process that continues to slowly occur until now. The fact that the loss of the atmosphere by the hydrodynamic mechanism ceased on Mars many years ago indicates a reduction in the flow of hydrogen into space, which in turn indicates that there was almost no water on the surface of the Red Planet at that time, photodissociation which is an important source of atmospheric hydrogen. 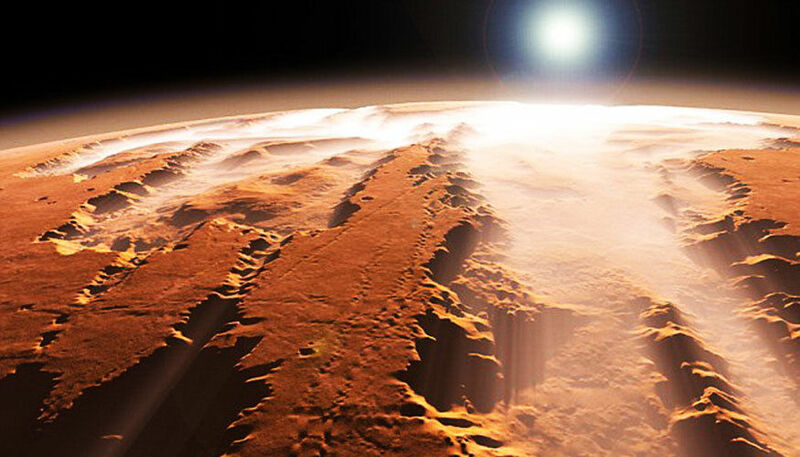 Consequently, the “wet” period of the history of Mars lasted not so long as some modern scientists believe, and was completed after several hundred million years after the formation of the planet, Cassata considers.